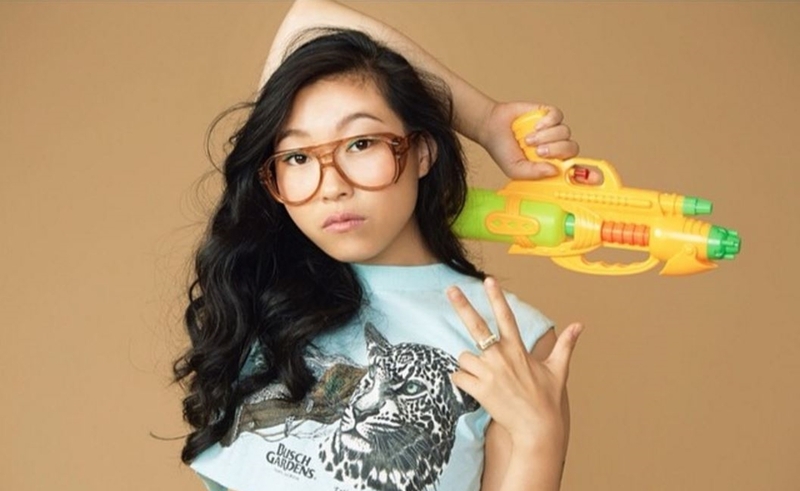 The late-night digital series Tawk, produced by Astronauts Wanted and starring rapper-slash-actress Awkwafina, will return for two more seasons beginning next year on Verizon’s mobile go90 video platform, the companies announced today. Astronauts Wanted, a joint venture between former MTV executive Judy McGrath and Sony Music Entertainment, initially premiered Tawk in 2014, and this year the series was nominated for a Streamy Award. Past episodes have featured Awkwafina (whse real name is Nora Lum) in strange scenarios with bold-faced guests, including rapping in a supermarket with SNL player Pete Davidson and dissing farm animals at a house party with YouTube megastar Lilly Singh. Guests for seasons four and five, which will begin to air in 2017, include the actor Josh Peck, singer-songwriter Jay Sean, and social media stars GloZell Green and Nicholas Megalis. “This new season of Tawk will be lit,” Lum said in a statement. “I’m stoked to have this opportunity to bring new faces on the show for awesome awkward conversations you’re not going to hear anywhere else.” Lum, who hails from Brooklyn, is also a regular on the MTV series Girl Code and will soon be featured in Oceans 8 alongside Sandra Bullock, Cate Blanchett, Mindy Kailing, and Rihanna. She also appeared in Neighbors 2: Sorority Rising. Go90 currently offers 250 hours of exclusive original content, it says, including the forthcoming teen thriller Cold; Now We’re Talking, about two inept sports commentators; and the Battlefield-inspired Rush series from Corridor Digital.